The quarry, commonly known as the Westminster Arms Quarry, may well predate the nearby former Westminster Arms Public House (previously The Fox And Hounds) from which it gets its name. 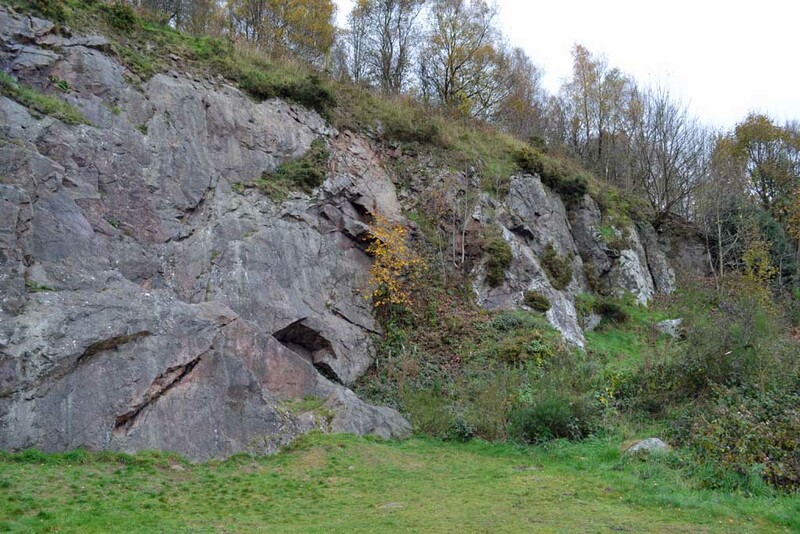 The quarry is owned by the Malvern Hills Conservators and access is freely available. Cars should be parked on West Malvern Road just to the north of St James's Church. From here a metalled road (Westminster Bank) leads up the hill from opposite the junction of West Malvern Road and Mathon Road. Eventually the road gives way to a track that makes a T-junction with a path that runs from north to south. 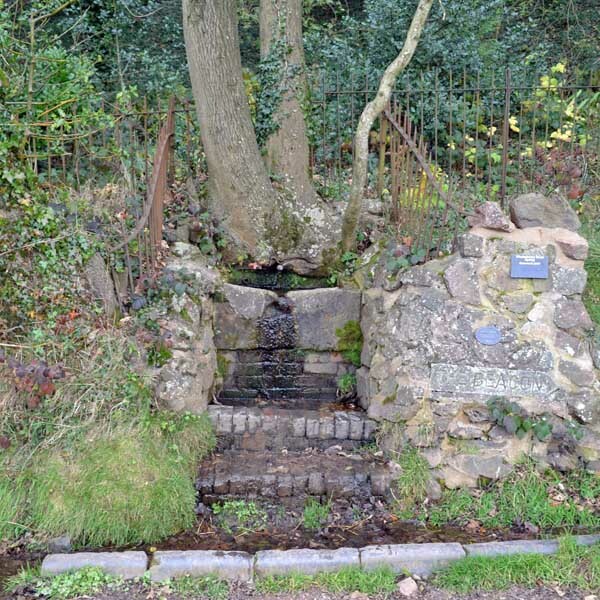 Turn south along the path past the spring water spout (illustrated below by Andrew Smith, 30/10/2010). The quarry is on the left after about 100 yards. It is located about 200 yards above and to the east of the church and affords spectacular views across Herefordshire. 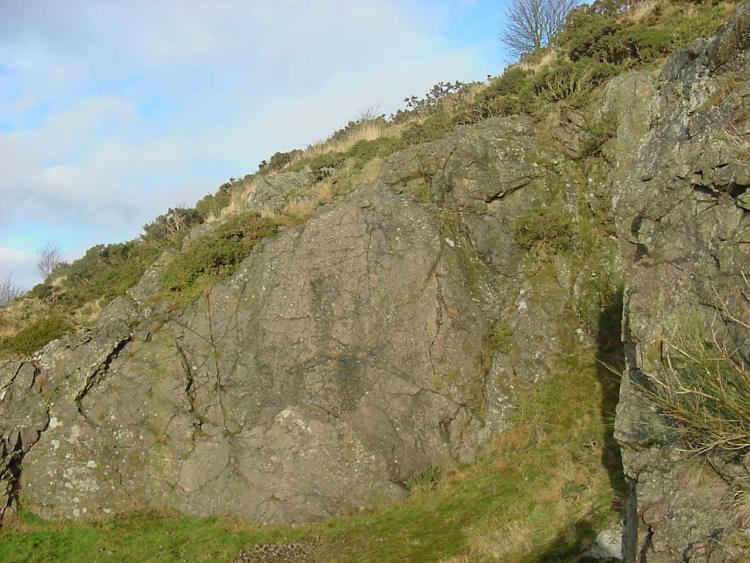 The two photographs above were taken by Andrew Smith on 30th October 2010. 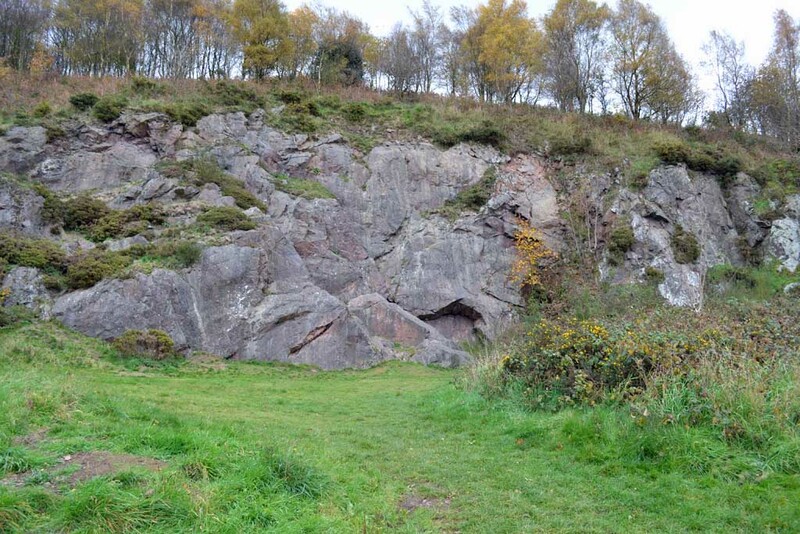 The quarry is the largest of about half a dozen identifiable small quarries that can all be accessed from Westminster Bank. By going north from the water spout, after about two hundred yards, the path joins another that goes south but at a higher level. The photograph below shows the first of two quarries on this southbound path. Photograph taken by Andrew Smith on 27th December 2002.